Cape Town, South Africa, was selected as one of 15 top global destinations to be chosen as ideal subjects for a case study by the United Nations World Tourism Organisation (UNWTO) and the World Tourism Cities Federation (WTCF), demonstrating the city's global status and its potential to influence world travel according to both its popularity and its practices in operating under sustainable tourism conditions. The jointly launched UNWTO-WTCF City Tourism Performance Research, is an instrument with a set of criteria and a platform for the exchange of information to benchmark tourism performance in urban destinations. The research focused on the following areas: destination management; economic impact; social and cultural impact; environmental impact and technology and new business models. Notably, According to the UNWTO, the case studies include a set of key urban tourism performance indicators and an in-depth analysis of each city in areas related to the economic impact of tourism, sustainability or the use of new technologies in the measurement and management of urban tourism. "Cape Town is a fascinating tourism hotspot; the city’s ideal situation at the Gateway to Africa brings so many cultures together that it offers a unique perspective on maintaining and sustaining a thriving tourism sector that’s of benefit to locals – our role is to continuously work towards ensuring that our communities are able to enjoy work opportunities in tourism and that the economic results of that are equally distributed through our neighbourhoods with long-term effect. "In 2018 we saw 2.6 million international passengers recorded by Cape Town International Airport, representing a 9.6% om 2017 despite the drought and other problems experienced by the region, so imagine the possibilities," said Alderman James Vos, mayoral committee member for economic opportunities and asset management, including tourism, property management, strategic assets, enterprise and investment. Cape Town, which contributes approximately 11% to South Africa’s GDP, has a bustling tourism sector. Besides having the third-busiest airport in Africa, the city has a total of nearly 4,000 tourism enterprises, including 2,742 in different types of guest accommodation, 389 restaurants and 424 tourist attractions to cater to international and domestic visitors. In addition, it has 170 conference venues for business and other events. Bear in mind the volumes of staff required to ensure the operation of those businesses and you start to get a clearer picture of why tourism is so central to our local economy. The most recent comprehensive study on the tourism economy carried out by Grant Thornton (2015) pegged tourism as bringing in an estimated R15bn ($1.1bn) for the Mother City, showcasing the industry as a major contributor to Cape Town’s economy. 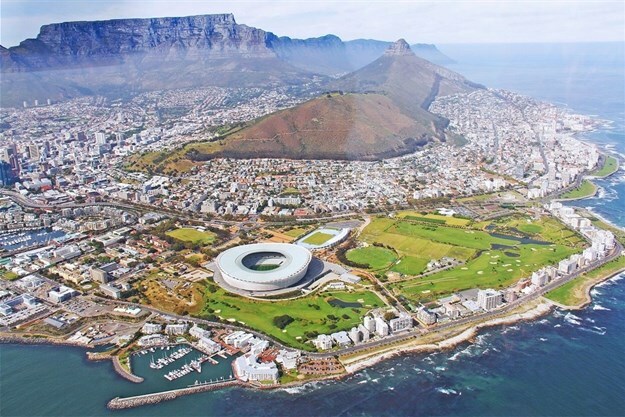 Cape Town tourism also contributes about 10% to the Western Cape’s GDP, through its unparalleled big attractions such as the Table Mountain Cableway, Cape Point and the V&A Waterfront, as well as numerous other popular activities such as wine tasting and other gastronomic offerings. It has been a privilege to participate in this global study, since it enables us to obtain a macro view of the impact of tourism on Cape Town as a destination, a view that allows us to build a sustainable tourism environment for the benefit of our local communities. Typically, global destinations of our magnitude experience some strain on resources and within communities, and the volumes of visitors to concentrated areas take no small amount of management. That’s partially why we are constantly seeking ways to spread the tourism load wider, inviting visitors into lesser-visited neighbourhoods. That also ensures that their spend is distributed more widely. A further point to note is that Cape Town has been voted best host city in the world for events and festivals – again, no small feat. To illustrate this, Cape Town Cycle Tour sees R500m flowing into the Western Cape economy during the week of the Cycle Tour. Approximately 15,000 riders participate in Cycle Tour from outside the borders of the Western Cape, including international entrants, for a total of 35,000 participants. The tour has attracted about 4,000 international riders to the city, too. The Cape Town International Jazz Festival creates more than 2,000 temporary jobs. The festival annually boasts five stages with more than 40 artists performing over 2 nights. The festival hosts in excess of 37, 000 music lovers over the two show days. The festival brings in the region of R700m to the economy, and this has grown as the attendance has grown. To sum up, each visitor you see taking pictures to share on their social media channels is an asset we must treasure, a contributor to our economy, without whom we’d struggle to find the capacity to support our population. It’s an honour to partner with the UNWTO in gathering the information that allows us to ensure continued growth and a sustainable tourism environment.